The list of small labels owned by the biggest of the Italian record companies is long and impressive. 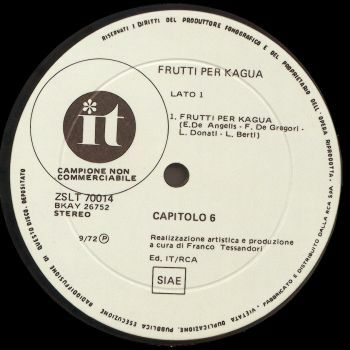 Two of these, Numero Uno and Ultima Spiaggia have had their own page on this site, due to the high number of productions or their almost-independent structure, most of the others were strictly connected to the head label and only used from time to time for commercial reasons. The oldest of these was Arc, born in the sixties as the "young music" label this is mainly connected to the Italian beat boom, and sadly closed at the turn of the 70's. Most of these labels had in common a unique numbering system, with a five-digit number accompanied by a unique prefix for each of them. 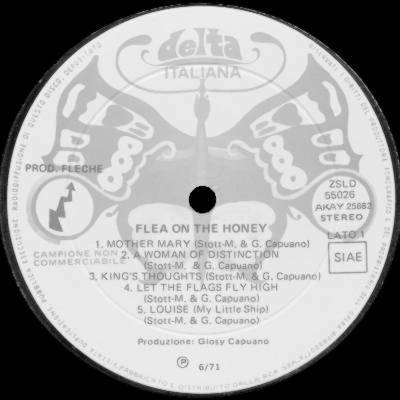 For example the album no.55023 was by Sub on Help (ZSLH 55023), while no.55026 was by Flea on the Honey on Delta (cat.no. ZSLD 55026). Not all of the subsidiaries followed this rule. Along with the ones mentioned here, other RCA subsidiaries were General Music (numbering starting with ZSLGE) and Motion (with ZSLB numbers). 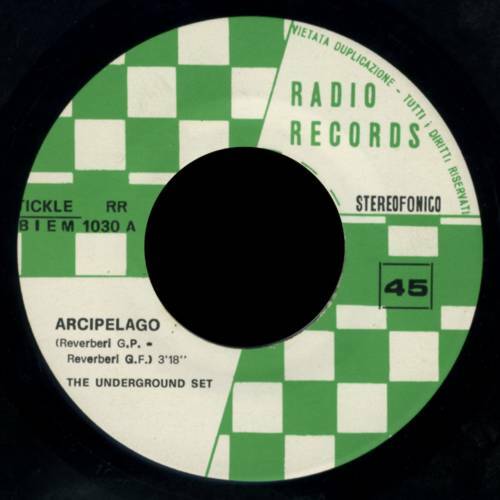 All concentrated in the 60's the Arc releases were mainly in the beat field. Latest issues came on RCA green label with Arc writing. Labels were light green with a dark green horizontal stripe carrying the Arc logo. 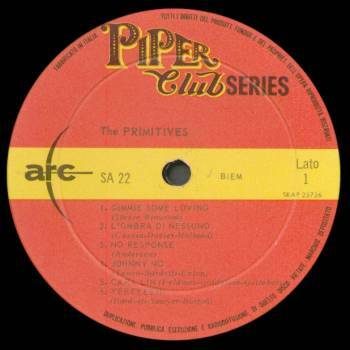 Since 1967 Arc launched a new series with red/yellow labels sporting the Piper Club (a popular club in Rome) logo. LP's had ALP and SA series numbers, singles had AN prefix. 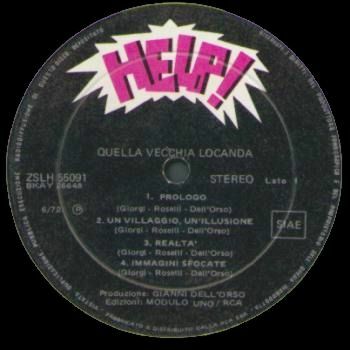 A very small label that released two albums that are very important in the Italian progressive scene, Quella Vecchia Locanda and Procession's debut LP's. Along with these, a lot of foreign productions, especially from Germany and Austria, among which the LP's from Free Action Inc. and The Sub, that produced with In concert, a much sought after album. Label was black with a red/white cartoon-type logo. 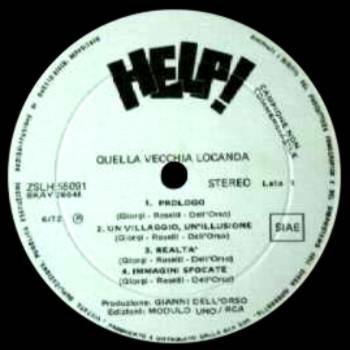 Albums had ZSLH + 5 digit number, singles had ZH + 5 digit numbers, following the same numbering sequence as Ultima Spiaggia, Apollo, Delta, Mimo and Numero Uno. 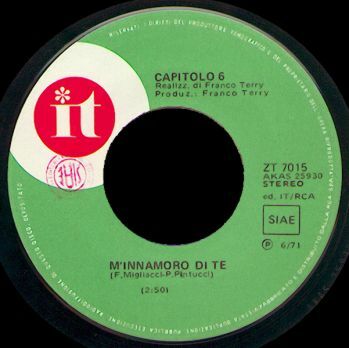 Founded by Vincenzo Micocci, this label was mostly associated with quality singer-songwriters' productions (with such relevant names as Francesco De Gregori, Rino Gaetano and Rosalino Cellamare later known as Ron), but also released important singles and albums by Capitolo 6 and Pierrot Lunaire. 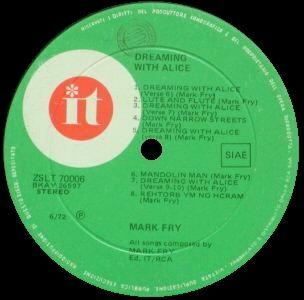 An unusual release for this label, specialised in Italian artists, was englishman Mark Fry's one and only album, recorded in Italy and considered almost impossible to find in its original issue. Albums had ZSLT + 5 digit number, that became ZPLT since 1977 and ZPGT in the 80's, singles had ZT + 4 digit numbers. The label was initially green with a white/red logo, but it was soon changed to a black one with white/red (later green/red/white) logo. A mysterious label that was used in a very long time range throughout the 70's. Label was multicoloured with a butterfly on the background. 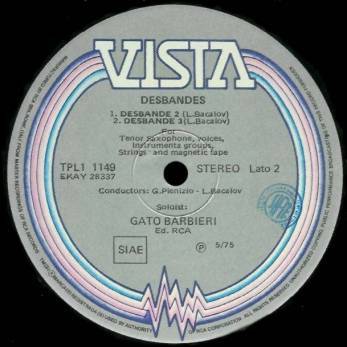 This was NOT the same Delta label that released the rare Preghiera di Sasso/Diapason album in 1975. 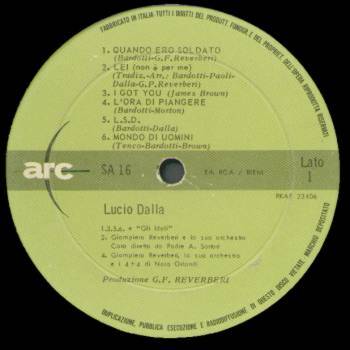 Albums had ZSLD + 5 digit number, later ZPLD, singles had ZD + 5 digit numbers, following the same numbering sequence as Help, Mimo, Apollo, Ultima Spiaggia and Numero Uno. 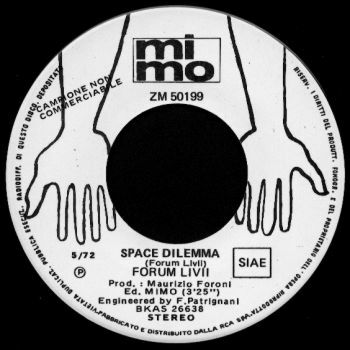 Better spelt as MiMo, from the initials of Migliacci and Morandi, owners of the musical company, this was another small label that only produced some interesting singles for the prog fan. The activity of this label ended around 1972, and it only released a handful of LP and singles. 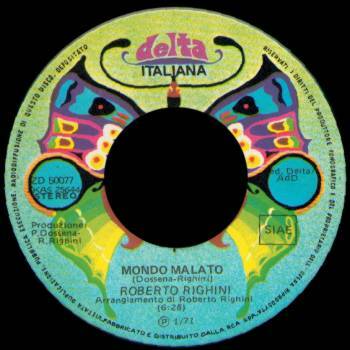 Albums had ZSKM, ZSLM or DZSLM + 5 digit numbers, singles ZM + 5 digit numbers, following the same numbering sequence as Help, Delta, Apollo, Ultima Spiaggia and Numero Uno. 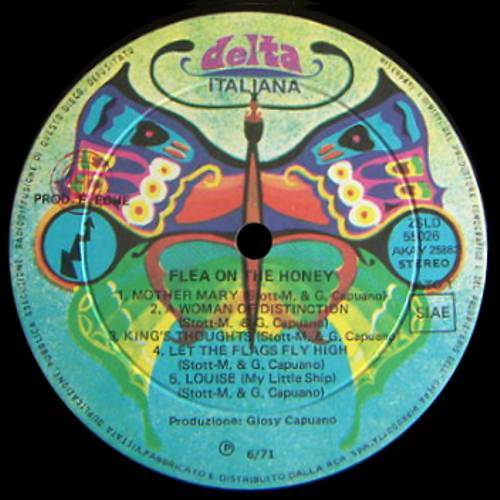 Like Delta, the Radio label had a very long life, being used in a very long time range throughout the 70's. 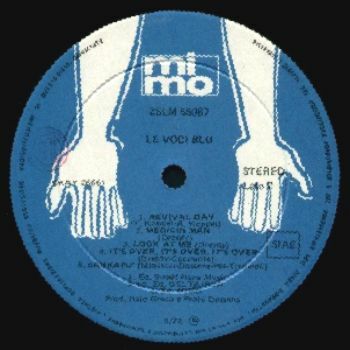 The label design remanined the same through the years, thgouh the colours changed: initially black with white writings and logo, it became blue/silver and again black/white (with promo LP's having a light blue background with silver text). 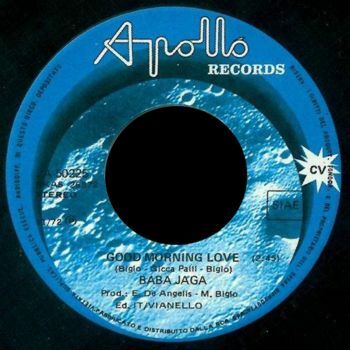 The singles' label was white and green with black writing, later black with grey/silver writing. 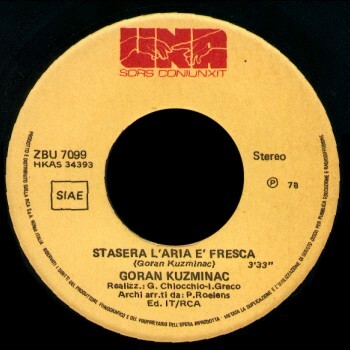 The company passed under RCA distribution at a later stage, as the first pressing were connected with Tickle and distributed by Ariston, the different numbering system clearly shows that. The label design and the logo on the cover were the same throughout the years. 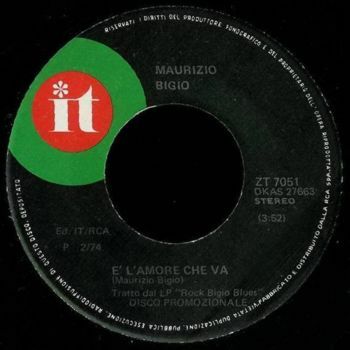 Like It, this label with an odd latin name was founded by Vincenzo Micocci, and produced a handful of Italian singer-songwriters's records along with Emilio Locurcio's L'eliogabalo rock opera. 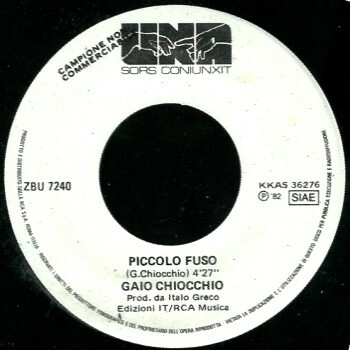 Among their records, the solo singles by Gaio Chiocchio from Pierrot Lunaire. The labels have a pale yellow background, initially with red logo and text, later with brown logo and black writing. 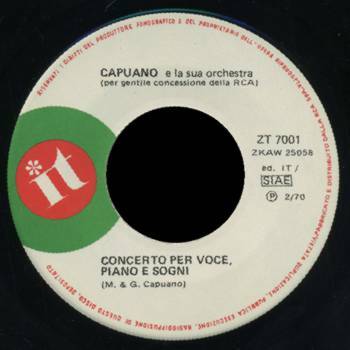 ZBU 7053 Lino Rufo Laura G.
Apart from record releases by some commercial artists like I Vianella and Ricchi e Poveri, this small label produced a very rare single by I Fiori di Campo, a band from near Rome featuring guitarist Marcello Todaro, soon to join Banco del Mututo Soccorso. 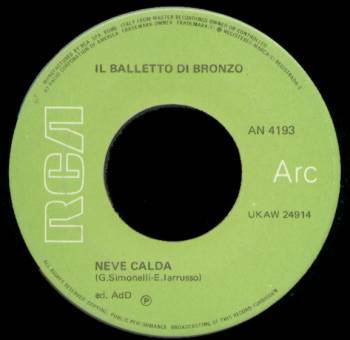 The single A side was an Italian remake of The Nice's Thoughts of Emerlist Davjack. 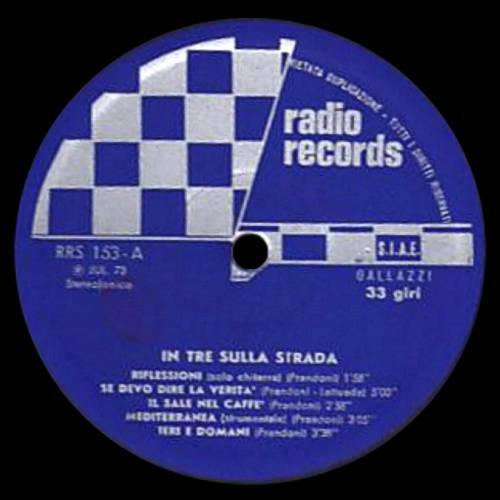 Singles had ZA + 5 digit numbers, following the same numbering sequence as Help, Mimo, Delta, Ultima Spiaggia and Numero Uno. 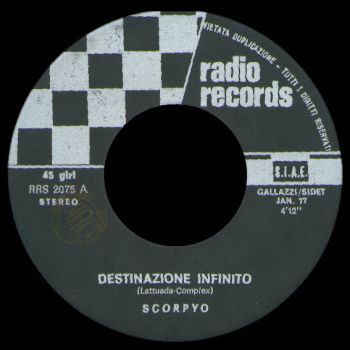 A small label founded by Alessandro Colombini, Shel Shapiro (producer of most the label releases) and Silvio Crippa, Spaghetti Records & Tapes mostly released commercial artists. 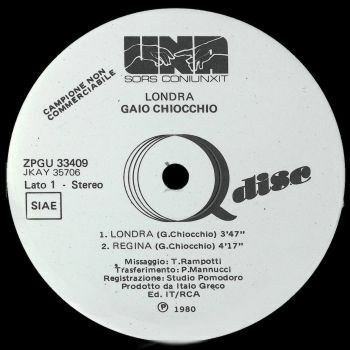 These included the singer-songwriter Ron, disco-oriented female trio Le Streghe, and groups like Judas and Decibel, among the first (commercial) punk bands in Italy, the latter led by Enrico Ruggeri that subsequently had a very successful solo career. ZBSR 7096 Le Streghe B.B.L.S.S.T. 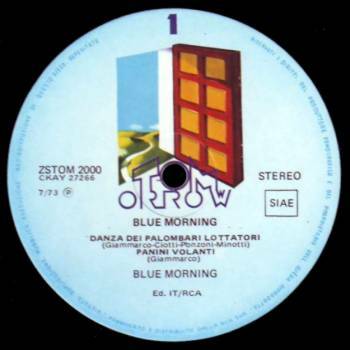 A small label (founded by Franco Godi) which produced in 1980-81 a single and an album by Dragon, an Italian pop-prog band; later, totally acquired by BMG, it found an enormous success in the 90's thanks to Articolo 31, which released their greatest hits with this Milan label. Singles had ZBBS + 4 digit numbers, albums ZPLBS + 5 digits. Depending from It and presumably intended to host its least commercial artists, this label had a short life, only two LP's in 1973, and no other productions are known. 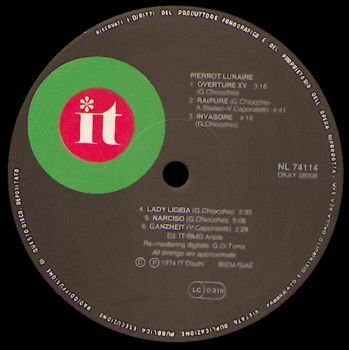 Both records have on the back cover the writing "È un prodotto It" [An It product]. 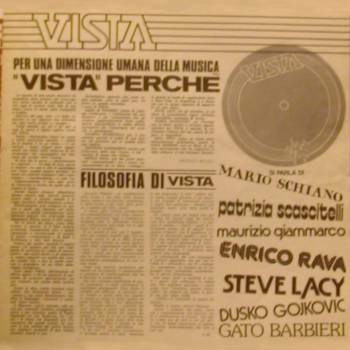 Like Tomorrow, this short-lived label was intended as a haven for jazz, avantgarde and generally alternative artists, but it only produced a handful of LP's and a lonely single, all the albums being released in May 1975. 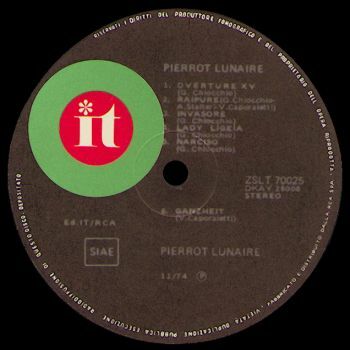 The label was revived in 1976 and was planned to release Pierrot Lunaire's second album Gudrun, but this came on It instead, and only a single by that group appeared on Vista. Both albums and single shared the same numbering sequence as contemporary RCA releases. 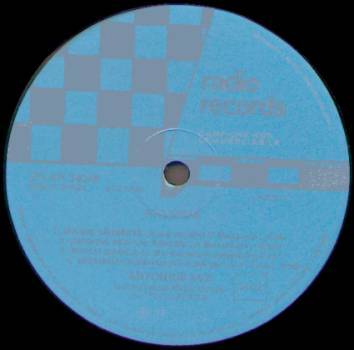 The records had a silver label, with promotional releases having a white label. 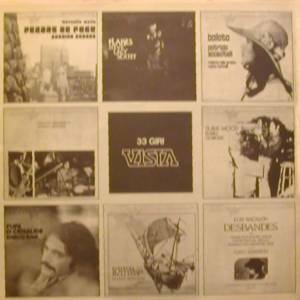 A large 12"x12" information sheet on Vista releases (see picture below) was included in early copies. All the issues carried the writing "prodotto dalla IT per conto della RCA-Italiana", that means they were produced by It on behalf of RCA. The discography below is the complete Vista production. 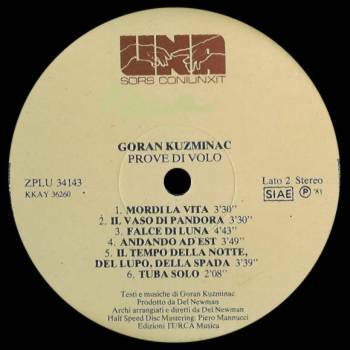 Thanks to Domenico Giordano for his invaluable help and information on rare promos and little known singles, and to Zeev Barkai for some of the scans. 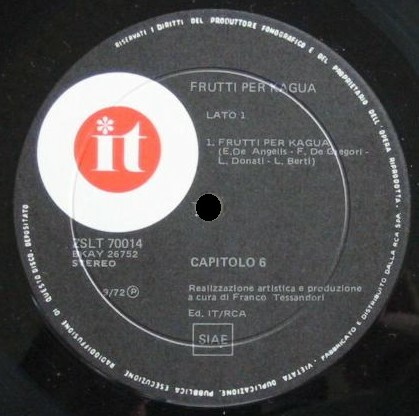 Valerio D'Angelo deserves the warmest thanks for the full information and scans on the Vista label along with info on other labels mentioned in this page. 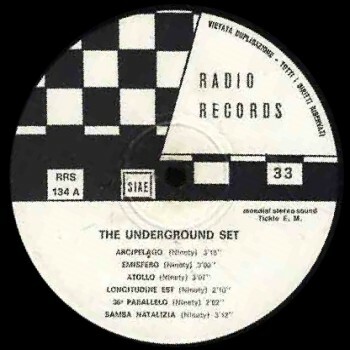 Also thanks to Annunziato Cangemi for the detailed information on Arc, Help, MiMo, Spaghetti and Delta discographies, Massimo Pozzi and Giacomo Beatrici for various information and scans, Giuliano Semprucci for discography and info on the Help label, Claudio Checchi for pictures and information on the Tomorrow label.